The merging of Sprint and T-Mobile is postponed while the FCC carries out examination on the broadband wireless products offered by both cable companies. The examination is carried out to prevent issues related to antitrust occur after the merging. The FCC is just doing its job on protecting consumers from competitions. Both cable companies are to attend the evidentiary hearing set by The California Public Utilities Commission. The decision will only be revealed by June. The 14 point review that the commission wants to conduct could stall the merging of Sprint and T-Mobile as they attempt to get fast regulatory approval. Sprint and T-Mobile has talked about merging into a single company for many months. The $26.5 billion merging was proposed in April this year. If the merging succeed, it will reduce the wireless provider to 3. Tammera Chafee, a representative of Communication Workers of America said that they just want to make sure that John Legere promise that the merging will not affect the 4,100 jobs in the Kansas City area and that they will also do what they can to protect the 28,000 jobs that are forecast to lost after the merging. This is a big issue since Sprint is a large company in Kansas City area. Recently, T-Mobile CEO has made a visit to Sprint Campus in Overland Park which shows that it values the presence of Sprint in the community. The Overland Park Chamber of Commerce has given his compliments on the merging. Dave Tovar, the spokesman for Sprint, told the press that Neville Ray and many others including Braxton Carter, and Sunit Patel has attended it. The meeting provides an opportunity for the T-Mobile team to introduce themselves. They also talk about how they can integrate Sprint into Bellevue. Tovar said the merging is something John Legere and Mike Sievert want to do. During the meeting, Leger has given positive encouragement to Sprint employees on their talents. He also offer comparison between Overland Park campus and the second headquarter of Amazon. Legere has also talked with a number of Sprint employees. Some employees have posted photos of themselves with their possible new boss on Twitter. Employees can ask question through texting. The text must include the name of the employee and the location of his office. After the meeting, everyone goes outside to celebrate with music and food trucks. T-Mobile does not have any responsibility to retain Sprint campus or meet a job quota. However, they will just try to prevent sending hundreds of workers into retrenchment. Oltjen said the intention is for the company to be strong in Washington and Kansas City area as well as to offer strong job opportunities for customers. Comcast is the largest cable provider in the US. Comcast has provided a new wireless product last year and over 780K customers have signed up. Comcast provide its wireless services through Verizon Communications Inc. airwaves. It also offer over 19 millions Wi-Fi hotspots through Xfinity. Altice USA is also getting a query from FCC as it is involved in a deal to use Sprint’s airwaves. Altice USA has just launched Altice Gigabit fiber services for residential customers on Long Island. It is the fastest internet service on Long Island. The fiber internet is delivered via the new fiber-to-the-home (FTTH) network based on the latest optical fiber technology in Altice Labs. Customers will use the giga optics router and WiFi device to connect to the gigabit fiber internet at home. Currently, only selected areas of Long Island has access to Altice fiber internet service but they said they also plan to offer it in more areas on Long Island and in New York region. It is currently offering up to 400 mbps internet plan to residential customers and 450 mbps internet to business customers on the HFC network. Altice USA said that it plans on improving the hybrid fiber-coaxial (HFC) network by offering gigabit services next year. Hakim Boubazine, the copresident of Altice USA said that Altice Gigabit fiber service is only the first step that they take to improve their network. He said they plan on activating a full fiber network that feature a smart Wi-Fi feature on the HFC network in the near future. The smart Wi-Fi will automatically switch to different frequencies depending on the device. Their goal is to offer up to 10 gigabit internet services to meet the increasing demand of data usage. Dexter Goei, the chairman and CEO of Altice USA, said that they are happy with the achievements they have made so far. They hope that they can introduce more innovative products and services for customers. With Altice Gigabit services, customers can watch ultra high definition and high definition videos on the internet. Customers can have optimal online gaming experience when playing big games online. Large files can be downloaded fast from the internet without having to wait for a few days. It allows you to enjoy optimum experience when playing virtual reality games. You can make video calls and chat on your computer smoothly without any silence in between. The WiFi extender services offers increased coverage in all the corners of your home. The Wi-Fi extender service allows you to control the Wi-Fi availability in your entire house through an app. The gigabit service is great for household with a lot of people staying that needs internet connection for their devices. Altice USA has just become independent of Altice NV and has formed its own organization after merging with Cablevision and Suddenlink. Altice USA is one of the top broadband providers in USA. Besides broadband services, it also offer cable television and telephone services. Customers that subscribe to Altice USA broadband plan will have access to free wi-fi hot spot. At the moment, Altice USA has a base of approximately 4.9 millions customers including residential and business customers. Recently, it has debuted its gigabit services in 7 different cities including Missouri, Arkansas, and Oklahoma. They want to offer 1 Gbps broadband to up to 60% of Suddenlink customers. Last month, Altice USA has successfully established its Altice Business unit which consists of departments such as Lightpath, Optimum Business and Suddenlink. Altice Business Unit offers several types of services including voice, video and managed services. Sprint has recently rolled out a new series of Unlimited plans. The most powerful plan called the Unlimited Premium plan is priced at $90/month. This pricing is valid only when you select the autopay option. The plan includes 2 subscriptions including Hulu and Tidal Lookout. With this plan, you will be able to make unlimited nationwide calls/SMS and use up to 50GB of data in LTE hotspots. There is no charges for phone calls and texting to Mexico and Canada. It offers optimal movie watching experience at full HD streaming on your device. The special bonus that comes with the Unlimited Premium plan is the free Amazon Prime membership that costs $119/year. Sprint did not purposely arrange for a partnership with Amazon to have the Amazon Prime membership included. They include the Amazon Prime membership as a unique bonus as other plans offered by the competitors did not have this bonus. According to Sprint, it would cost $130/month if they did not offer any discount. Therefore, signing up for the plan will save you at least $40 per month which equals to $500 in a year. Sprint told the press that they are likely to include a free $20 monthly Uber credit in the Unlimited Premium plan in the near future. The Uber credit is for $10 per ride and up to 2 rides only. It will cost you an additional $70 per month for a second line and additional $50 per month for the third line. For the fourth and fifth line, they will cost $30 per month for each line, Besides, Sprint is offering a $10 discount per line for anyone who bring their phone and port in their number. Customers can also get the $10 discount per line by purchasing a new phone at the online store. Sprint also has two other Unlimited plans which are Unlimited Plus and Unlimited Basic. Unlimited Plus offers features such as Hulu and Tidal, 15 GB LTE, 1080 HD streaming. It offers unlimited talk and text and up to 10 GB of 4G LTE data for roaming in Canada and Mexico. It also support text and data in more than 185 countries. The Unlimited Plus plan costs $70 per month with autopay. The Unlimited Basic plan only have Hulu subscription. When you are in a mobile hotspot, you can stream up to 500 MB of LTE data. It supports 480p DVD quality video streaming on the web. It offers unlimited talk, text and up to 5GB of 4G LTE data. With this plan, you can also send text and use internet in more than 185 countries just like the other two plans. The Unlimited Basic plan costs $60 per month with auto pay option selected. The Sprint Unlimited internet plan deal is best for people who live in a region that is serviced by Sprint. It is also in the news that Sprint wants to merge with T-Mobile by the end of 2019. Therefore, Sprint may not be offering the new plan for a long time. If it successfully merge with T-Mobile, they will be able to provide wireless plans with faster internet connection. Virgin Media’s sales pitch … but no mention of a nine-year wait. I’ve been without a properly functioning broadband for nine years and Virgin Media seems unable to do anything about it. The problems began soon after I moved into my conversion flat in 2008. The cable runs over the roof, then splits to each of the properties, finally reaching my flat at the bottom. A technician advised that I would need my own cable fitted for a reliable connection. However, this is yet to happen. Since then, I have experienced regular loss of TV and broadband and needed to take a day off work to wait in for a technician on 10 occasions. Currently, I have been without my internet and TV services for over two months. After one technician “fixed” it, another discovered that a Virgin engineer, visiting one of my neighbours, had rerouted my cable to their flat. I’m now told that Virgin will be digging up the road to lay a new cable, but I don’t know when. I am at a loss to understand how it has taken nine years. Virgin has offered £100 compensation, as well as a loss-of-service credit. I have turned down this offer. I have also lost out on freelance commissions due to not having access to my emails. I have rheumatoid arthritis and live alone, so am reliant on the internet when flare-ups leave me housebound. My postbag sags with complaints about elusive broadband services, but nine years has to be a record. Virgin acknowledges that you’ve received poor service. Its contrition would be more convincing if it had not required media intervention to offer what it calls “more appropriate” compensation. It has upped its goodwill to £1,407 and promised the cable within six weeks. If you need help email Anna Tims at your.problems@observer.co.uk or write to Your Problems, The Observer, Kings Place, 90 York Way, London N1 9GU. Include an address and phone number. Publication is subject to our terms and conditions. A Falcon 9 rocket is launched with two SpaceX test satellites for global broadband at Vandenberg Air Force base. Elon Musk’s SpaceX has been given formal approval by US telecoms regulators to build a global broadband network using satellites. “This is the first approval of a US-licensed satellite constellation to provide broadband services using a new generation of low-Earth orbit satellite technologies,” the Federal Communications Commission said in a statement. The system proposed by privately held SpaceX, as Space Exploration Holdings is known, will use 4,425 satellites, the FCC said. On Wednesday, the Federal Aviation Administration said SpaceX plans to launch a Falcon 9 rocket carrying a communications satellite on 2 April at Cape Canaveral, Florida. Musk, who is also the founder and chief executive of Tesla, said in 2015 that SpaceX planned to launch a satellite-internet business that would help fund a future city on Mars. SpaceX wanted to create a “global communications system” that Musk compared to “rebuilding the internet in space”. It would be faster than traditional internet connections, he said. “This is an important step toward SpaceX building a next-generation satellite network that can link the globe with reliable and affordable broadband service, especially reaching those who are not yet connected,” Gwynne Shotwell of SpaceX said. Over the past year, the FCC has approved requests by OneWeb, Space Norway and Telesat to access the US market to provide broadband services using satellite technology that the FCC said “holds promise to expand internet access in remote and rural areas across the country”. About 14 million rural Americans and 1.2 million Americans on tribal lands lack mobile broadband even at relatively slow speeds. FCC commissioner, Jessica Rosenworcel, said on Thursday that the agency needs “to prepare for the proliferation of satellites in our higher altitudes”. 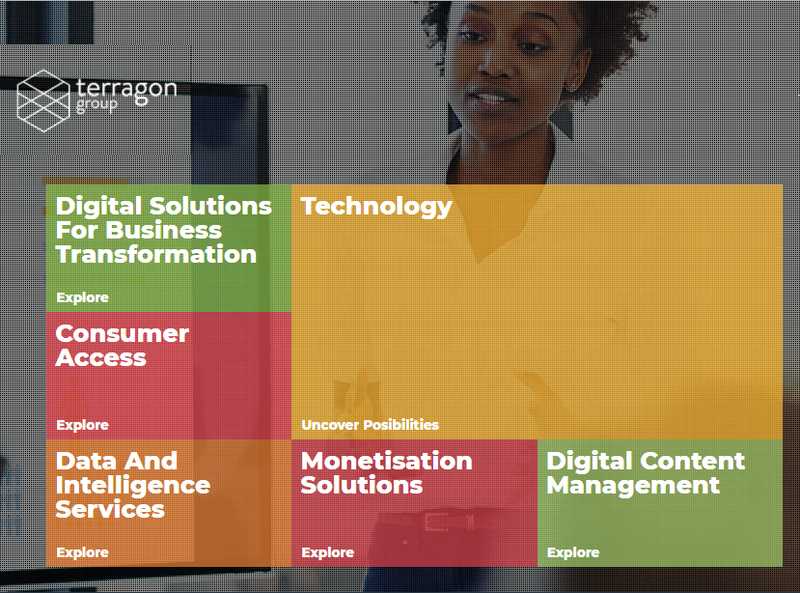 The African venture firm TLcom Capital is betting on Africa’s data analytics markets with a $5 million investment in Nigerian-based Terragon Group, the developer of a software analytics service for customer acquisition. TLcom’s commitment is the second from its $40 million TIDE Africa Fund for early and growth-stage digital companies. Located in Lagos, Terragon’s software services give its clients — primarily telecommunications and financial services companies — data on Africa’s growing consumer markets. 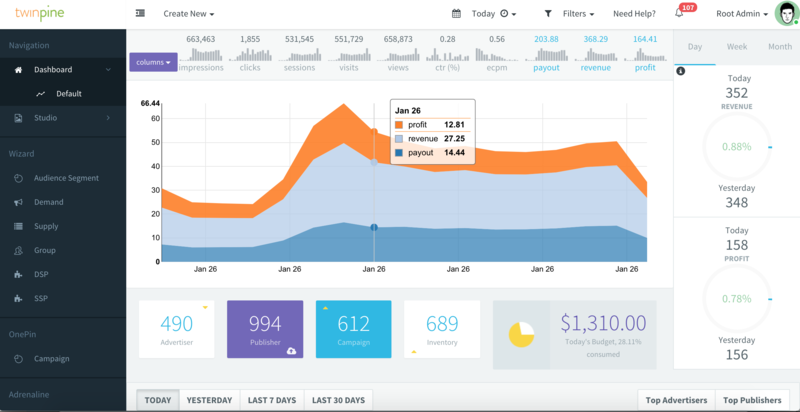 “We can track across several layers — web, mobile, mobile money — and track data to do things channel agnostically,” said Terragon CEO Elo Umeh, on how Terragon captures consumer info from multiple sources. Beyond government mandates, Balogun highlighted Terragon’s internal controls. “Adrenaline was built using a comprehensive data governance framework to ensure data security and consumer privacy,” he said. The company is also working with Deloitte to implement ISO/IEC 27001 information security standards “across all our platforms, systems, and processes,” said Balogun. The company has a team of 100 employees across Nigeria, Kenya, Ghana and South Africa. Top customer sectors across countries span fast-moving consumer goods, financial services, gaming and betting and NGOs, according to Umeh. Consumer research in Africa is emerging as a professional industry as the continent’s large informal business space — representing some 55 percent of the continent’s economic activity — modernizes. The growth of consumer spending, e-commerce, mobile penetration and Africa’s improving broadband landscape are facilitating this, while creating opportunities for data services. Big global firms such as Nielsen and Euromonitor have upped their African consumer research offerings. An American company, GeoPoll, has also built out a digital survey service and database in multiple African countries, and mSurvey, a Kenyan-based startup specializing in mobile data collection, developed a Consumer Wallet product with partner Safaricom in 2017 and recently expanded in to Nigeria. Meanwhile, Umeh sees global possibilities for the company’s platform. Terragon already has a consumer data research and development team in India and is contemplating expansion in Asia and the Americas. “Today the strategy is to be dominant on the continent of Africa,” said Umeh. “At some stage we’ll look at licensing our technology into Southeast Asia and Latin America. We think our technology is relevant South of the equator. We also think we can generate interest out of large advertisers looking at Africa from New York,” he said. SpaceX has previously discussed its plans to put a satellite-based broadband Internet network into operation, as a way of supplementing its bottom line with a brand new revenue stream. Now, we know what SpaceX might call its new broadband product: Starlink. The name comes from documents filed by SpaceX to obtain the trademark rights to “Starlink,” as reported by GeekWire. The satellite project was first revealed by SpaceX founder and CEO Elon Musk back in 2015, with the aim of offering low-cost broadband in areas where it’s typically not been available. SpaceX’s plans to blanket the world in affordable connectivity is going to be an expensive feat in the initial offing (Musk estimates around $10 billion in launch costs over five years), but over time, it’s meant to become a significant revenue generator for the company. SpaceX wants to use the recurring revenue the network will enable to help fund its planned Mars missions and eventual colonization. SpaceX isn’t alone in chasing this carrot – in fact, a $200 million satellite built by Facebook for the purpose of providing Internet access to sub-Saharan Africa was destroyed when a SpaceX Falcon 9 rocket exploded during launch preparations last September. SpaceX could have some advantages, however, including being its own launch provider, which would allow it to theoretically maintain a much more robust and frequently repaired and upgraded satellite constellation. There’s no exact timeline on when the plan will come together, but filing for a trademark suggests it’s progressing, as do job openings for SpaceX’s offices near Redmond, where it’s working on this project. U.S. Senator Al Franken was born on May 21, 1951, and grew up in St. Louis Park, Minnesota. Before running for the Senate, Al spent 37 years as a comedy writer, author, and radio talk show host and has taken part in seven USO tours, visiting our troops overseas in Germany, Bosnia, Kosovo, and Uzbekistan-as well as visiting Iraq, Afghanistan, and Kuwait four times. It’s long been impossible to imagine a family budget that doesn’t include line items like electricity, gas, and groceries. Today, it’s impossible to omit digital communications services like cable or satellite TV and high-speed broadband — both in your home and on your phone. The typical American household spends $2,700 on these items each year – despite the fact that many Americans often complain about the service they receive from their cable, internet, or cell phone provider. I think they’re getting a raw deal. And I worry it’s about to get even worse. Over the past two decades, the handful of massive corporations that dominate this sector have consolidated their grip on the market. Effectively dividing up the country to protect regional monopolies, they’ve conspired to limit direct competition, and thus consumer choice: few Americans have more than one or two real options for cable or broadband service. Meanwhile, they’ve engaged in a practice known as “vertical integration.” Eight years ago, cable TV giant Comcast purchased NBCUniversal, a major content provider, thus giving Comcast the ability to control both the programming and the pipes that carry it. I objected to the deal at the time, concerned that Comcast would have strong incentives to favor its own programming over other content creators’ offerings, and then restrict access to its own programming by competing distributors. In order to get the deal approved by regulators, Comcast agreed to conditions that would have protected content neutrality and limited its ability to lock consumers into high-priced TV/broadband “bundles” — but it promptly violated those conditions, engaging in exactly the kind of behavior I warned about. For example, the new Comcast/NBC placed MSNBC and CNBC (channels it now owned) near other news networks on its TV channel lineup, while consigning competitor Bloomberg News to the outer reaches of the dial. Since buying NBCUniversal, Comcast has served its own bottom line well, but consumers and competitors have paid the price. 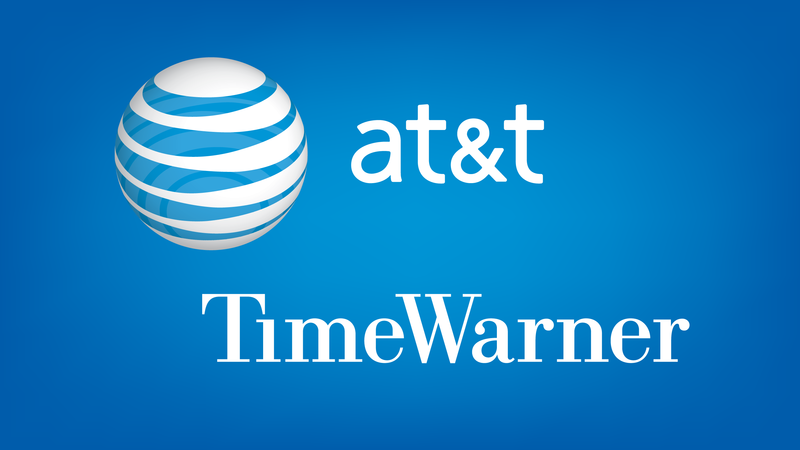 Now AT&T — which, having already gobbled up satellite giant DirecTV, is the nation’s largest pay-TV provider — is attempting to purchase one of the world’s largest content producers, Time Warner. This $85 billion deal dwarfs even the massive Comcast-NBCUniversal merger. And so do its implications: AT&T’s subscriber base is more than four times the size of Comcast’s at the time it purchased NBCUniversal. Any day now, the Department of Justice will announce whether this mega-merger will be permitted. And anyone with a cell phone, a cable subscription, or an internet connection has a huge stake in this decision. A combined AT&T-Time Warner could pass along the massive acquisition costs, which include billions of dollars in Time Warner debt, to consumers, just as AT&T did after acquiring DirecTV. Even if you subscribe to a different service for cable or satellite TV, you could wind up paying more, because AT&T could raise the prices it charges competitors for HBO, CNN, and other highly desirable Time Warner programming. Meanwhile, AT&T-Time Warner would have every incentive to favor its own content over that of others, meaning that AT&T users might not have access to the programming they want – like the competing content of Netflix and Hulu – on the same terms. Because of AT&T’s large footprint in the wireless internet market, their acquisition of a massive content provider poses a serious threat to net neutrality. And that’s not all. Should regulators sign off on this deal, it could have enormous long-term implications for the media landscape, as other major industry players — of which there are fewer and fewer — will increasingly argue that greater scale or their own vertical deal is necessary in order to compete with the behemoths of AT&T and Comcast. In fact, the next big wave of consolidation may already have begun. A few weeks back it was reported that T-Mobile is seeking to acquire Sprint, in a deal that would merge the third and fourth largest carriers in the U.S. wireless market. Unlike the cable market, competition among wireless carriers is relatively robust, and consumers are reaping the benefits. In June of this year, the Wall Street Journal reported that cell plan prices were down 12.5 percent since April of 2016, the largest decline in 16 years, and attributed the drop to “intense competition” among the top four cell-service providers. But a deal between T-Mobile and Sprint would curb this considerable progress and result in higher prices for consumers. It could also disproportionately impact lower-income families and communities of color, many of whom rely on mobile broadband as their primary internet connection. I urge both companies to reexamine the anticompetitive and anti-consumer effects — effects that regulators publicly acknowledged just a few short years ago — and refrain from finalizing a proposal. Take a step back, and the implications of the rapidly accelerating trend of media consolidation are clear and concerning. Time and time again, deals like the proposed AT&T-Time Warner acquisition result in even higher prices, even fewer choices, and, as tends to follow the elimination of real competition, even worse service for American consumers. That’s reason enough for the DOJ to block this deal. More broadly, as someone who used to work in the entertainment industry, I worry about the chilling effect this trend could have on independent creators and producers whose work is at the heart of the American tradition of creativity. And as a citizen, I worry about the distortive effect media consolidation has on the free flow of information in America, and what it means for our democracy. But as a Senator representing more than five million Minnesotans, I know that this is a pocketbook issue first and foremost, one that affects nearly every American family. The FCC has taken the final steps toward finally opening its long-delayed Connect America Fund II, which will disburse $2 billion in federal money over 10 years to support new broadband infrastructure in rural areas throughout the country. A date for bidding and the final documentation of the process were finally released today — though a bit of official infighting acted as a reminder that not all is well at the agency. The purple parts are census “groups” that would be bid on while the orange parts are census blocks that would need to be served. That means you can’t just serve one or two of the most lucrative ones. Accelerating CAF II is one of the FCC’s legitimate claims to progress over the last year, which it rightfully gave pole position in Chairman Pai’s highly selective summary of the agency’s 2017 accomplishments. The fund was proposed back in 2013, but for various reasons never saw the light of day. Pai made it an official priority of his upon taking the Chairman office, and to his credit he and the others have made good on his promise to get it out the door in 2018. The Connect America Fund auction will take place in July, but if you’re a broadband provider (or aspire to be one) you’ll need to indicate your intention to participate by the end of March, presumably so there’s plenty of time for vetting and getting all the necessary paperwork settled. The decision to go ahead was met with nearly unanimous agreement by the various Commissioners, who all filed their own statements. With hundreds of millions yearly planned to go out the door to local broadband deployment firms and their friends in infrastructure, we could see some real improvements to connectivity off the beaten paths, though it will take time. It’s good that the FCC still functions well for this kind of important work, but a significant detail led to a bit of inter-office conflict that reminds us that this is still a sharply divided office. Commissioner Clyburn noted in her accompanying statement that “despite our unified desire as a Commission to spur deployment on Tribal lands, we do not take any action here,” although Tribal lands in rural areas are disproportionately less connected. So what was the hold up? Despite having formally voted for the item, Commissioner Clyburn’s office had privately and repeatedly threatened to withdraw her critical third vote in favor of the order if we moved to bring this item across the finish line. It is worth noting that her threat had nothing to do with what is actually contained in the order. Then, this morning, she carried through on that threat and withdrew her critical third vote in favor of the order. If Commissioner Clyburn believes as I do that the Commission should take action to expand broadband access on Tribal lands, the way forward is simple. Instead of quietly changing her vote on a Friday morning and issuing a Friday afternoon press release designed to shift the blame, she should cast her vote in favor of an order that will increase federal funding for broadband infrastructure on Tribal lands. It’s that simple. Maybe I missed it. I thought my role as Acting Chair of the Federal Communications Commission (FCC) ended in November 2013? But if the authority implied by Chairman Pai’s statement is one I possess, then the Tribal broadband item would be adopted by close of business today. Correction: I did not withdraw my vote. My vote on the initial item was cast seven months ago and in case you missed it, I’m currently in the minority. I’m the holdup? How is voting to approve the entire text of the item but dissenting in part, as I did today, because it did not go far enough to support our tribal communities, delaying the vote? I await Chairman Pai’s retort. Signing on to all of your favorite networks’ apps on Amazon TV just got a little easier. The company, which had teased single sign-on for Fire TV in September, is now bringing the service to network apps in the U.S.
Users just need to sign in with their pay TV provider credentials and they can access all the networks they need without entering additional passwords. The service works with pay TV providers that support single sign-on authentication through Adobe Experience Cloud. That includes Dish, DirecTV, AT&T Uverse, Verizon FiOS, Cox, Cablevision (Altice) and many more. Networks that support Fire’s new single sign-on feature include Freeform, Syfy, Bravo, Telemundo, The cooking Channel, Turner and BBC. The feature should be up for most apps now, and Amazon says that it will work with other app developers and cable providers to integrate the new feature soon.